Formed in July 1943 at Camp Chaffee, Arkansas, the 16th Armored Division was the last U.S. armored division to be activated in World War II, the last deployed to the European Theater and the last to see combat. As the war in Europe was coming to an end, General George S. Patton chose the division to spearhead a daring advance into Czechoslovakia. 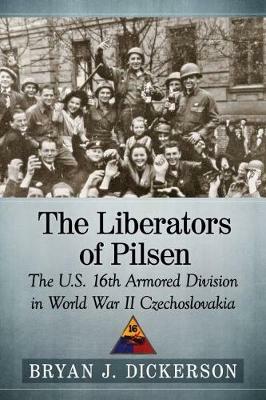 In its first and only combat operation, the 16th liberated the city of Pilsen, forever endearing itself to the Czech people. Poised to continue to the capital city of Prague, the division was halted not by German resistance but by political rivalries between the Western powers and the Soviet Union. Official U.S. Army records and veteran accounts tell the story of the unit's brief two-year existence and its successful mission.